Yesterday was the first official day of Spring! 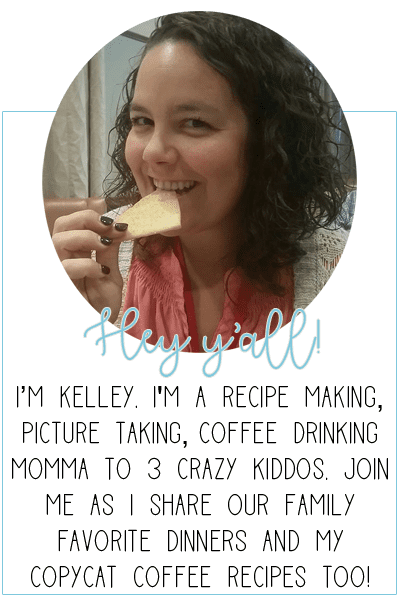 I would have liked to start transplanting our little seedlings [that we started in K-cups!] but Ryley was sick. Pukey sick. So we stayed inside and watched movies with a bucket close by. She just wanted to be curled up in my lap and I was ok with that. Transplanting can wait. Everything is ready when my little lady feels better. 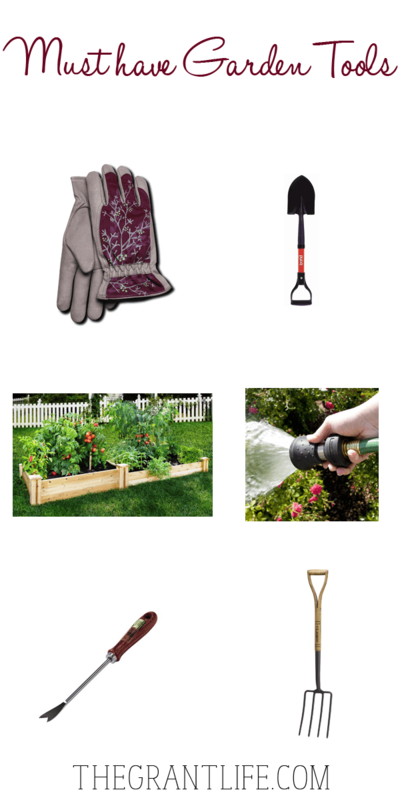 Until then, I’ve put together a list of my must have garden tools to tide me over. *Some links are affiliate links which means I will get a small portion back at no cost to you. Things like this help me maintain this blog! Full disclosure here. Leather Garden Gloves // Good leather gloves can not be beat! Garden Trowel // I think I spent more on my garden trowel then any other tool in my garden arsenal. I had two break on me and I was done with the cheapie trowels. Make sure to grab one that will be able to take a beating. Hand Weeder // One of my Facebook fans suggested one of these little guys. I don’t have one yet since I haven’t transplanted my seedlings, but I’ll be buying one soon. And a good sturdy one like my trowel. Round Point Shovel // I have a short handled on like this and love it! Its just so handy and easy to carry around. Water Hose Nozzle // You don’t want to attack your plants with a harsh watering. Get a water hose nozzle that has different settings so you can water without overpowering them. Pitch Fork // Do you compost? We just started a few months ago and its been.. interesting. Its kinda cool to be able to throw all your food scraps in the backyard though. We built a ridiculously simple compost out of pallets and chicken wire. It works great. We use a fork to toss it every now and then so that it decomposes like it should. Its fun. I use this garden fork and I feel like I’m from the wild west. Or sign up for our emails! Those raised beds look beautiful. I can’t wait to sink my hands into the ground again. That’s if we ever have a thaw though. Thanks! My beds aren’t that pretty. ha! And I hope yall thaw soon! I seriously need a good pitchfork! We bought one last year and boy was it crummy! Put on my list! Thanks for the list! We love ours.. nice and sturdy! Definitely worth the money.